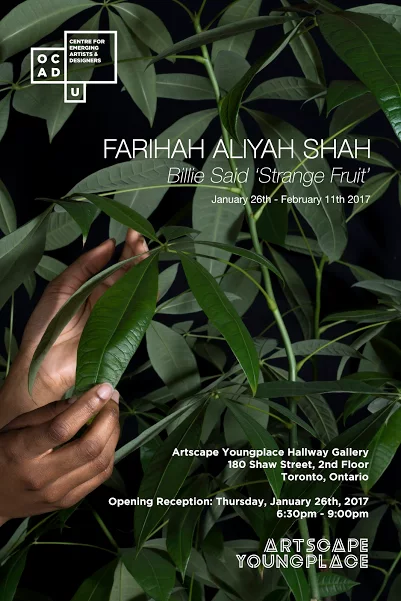 The Centre for Emerging Artists & Designers at OCAD U congratulates Farihah Aliyah Shah on this photography exhibition as the recipient of the 2016 Artscape Youngplace Career Launcher prize. Using self-portraiture and simple installations, Billie Said ‘Strange Fruit’ aims to respond to the current Black Lives Matter movement and past civil rights movements advocating for justice and equality whilst commenting on the lack of representation of black bodies in the history of photography. The series reflects on the significant history of still-life photography and botanical objects and challenges the viewer to elevate fragmented or disenfranchised bodies to the same respect as the popularly photographed succulent. The series lends its name from the 1930s poem “Strange Fruit” which was popularized by Billie Holiday. The poem speaks about the common practice of lynching in the American South. Despite the literal disappearance of this act, the figurative and systemic lynching of black bodies from the contemporary socio-political discourse remains. The series is dedicated to my Uncle Bob, a civil rights activist. 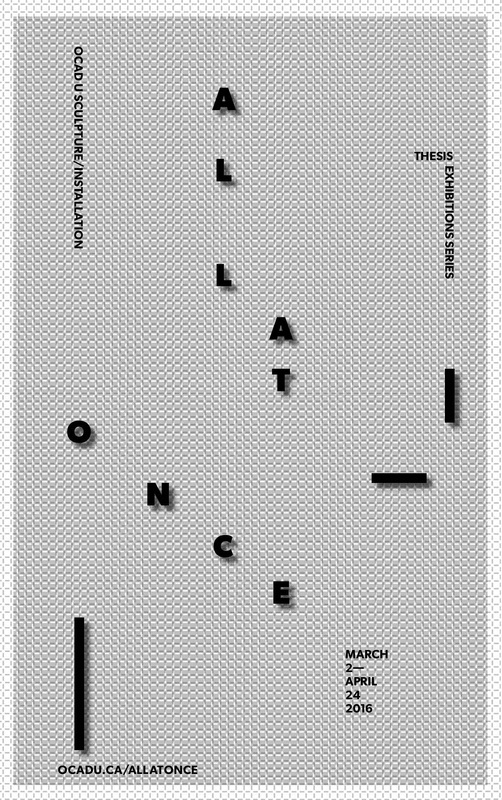 The Centre for Emerging Artists and Designers at OCADU is pleased to present a Photography Exhibition of recipients of the 2016 Artscape Youngplace Career Launcher. The exhibition will be held on the 3rd floor of Artscape Youngplace and presents work by the artists: Mara Gajic, Antonio Giacchetti, Farihah Aliyah Shah, Nicholas Aiden, and Maddie Alexander. 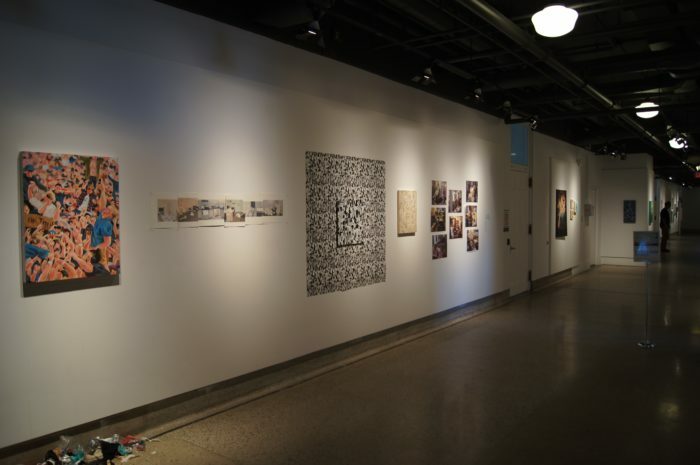 Students from OCADU’s Illustration Program exhibit twelve independently curated exhibitions developed in their Illustrative Painting course.